Happy Hamby Campers: Sunday rocks! Caravan camp-out aside, we were up bright and early on Sunday morning (the first day of daylight savings) keen for our lapidary club field trip. What a fantastic day! We met the group at Castlemaine Botanic Gardens, where we had time for a cuppa and chat before moving off with our very knowledgeable tour guide. 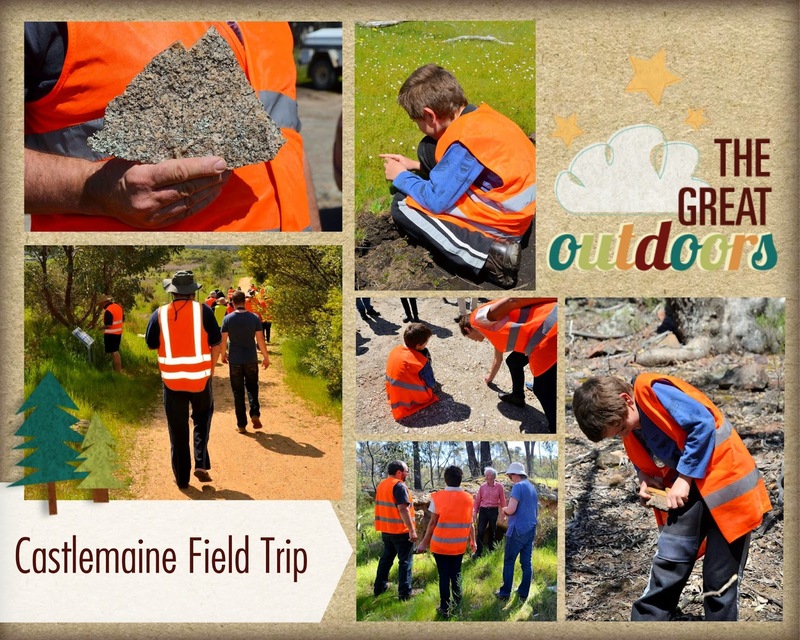 One of the club members highly recommended the nearby Castlemaine Gardens Holiday Park. We may well stay there in the not-too-distant future. Our first stop was the anticline in Lyttleton Street. Vaughan climbed over it and chose to sit on the top for most of our tour guide's talk. (Although our boy didn't seem overly interested, he had taken in a lot of the discussion). During the course of the day we viewed beautiful scenery, very interesting granite formations, old gold mines and diggings - as well as lots of rocks. 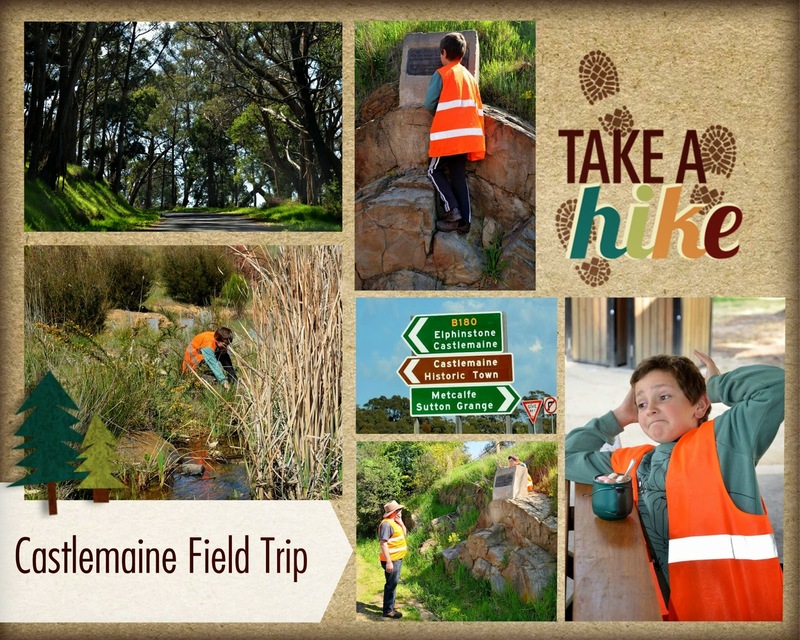 It was our first visit to Castlemaine and we are keen to go back for (at least) a weekend stay. It might be one of our first trips in the caravan! 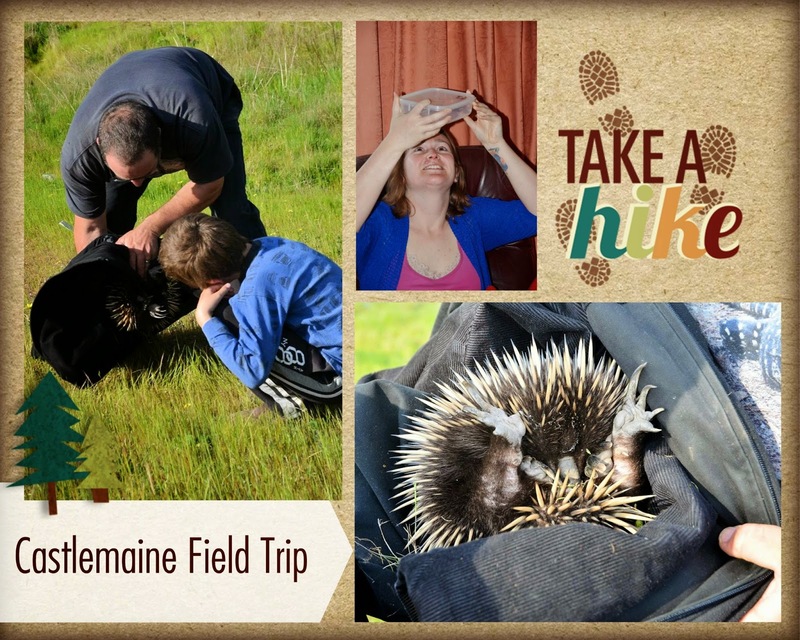 Given how much bush we'd rambled through without spotting any larger wildlife, we were most surprised to encounter an echidna on the way home, attempting to cross the freeway! Nick drove around the would-be explorer, then reversed along the tarred road-edge so as to effect a rescue. Vaughan assisted the relocation to a safer area, where the spiky fellow could access an underpass out of harm's way. Vaughan insisted on bringing home a scorpion for Erin. As you can see, she was very excited by his gift!